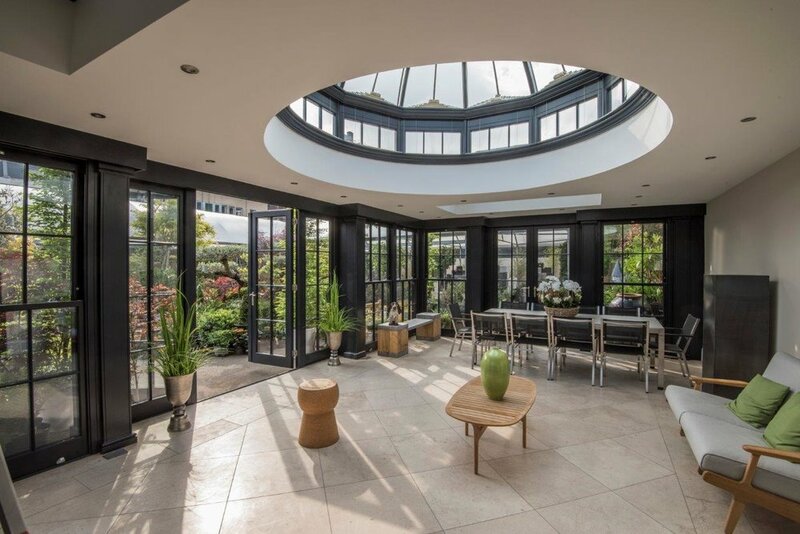 The orangery is built with a large glazed dome that has custom made blinds that retain the shape and curvature of the glass when fully closed. 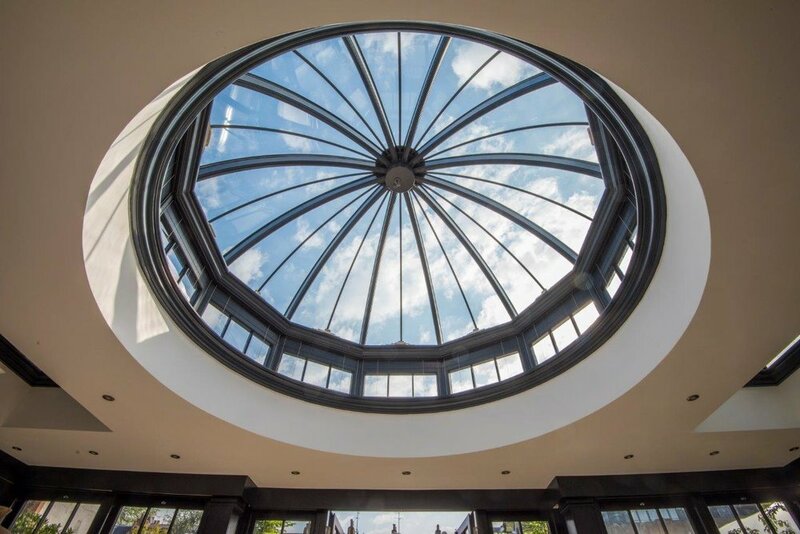 The showroom contains 64 motorised French Pinoleum blinds showcasing concealed installations in windows, lanterns, and curved dome. Our London showrooms are a must for everyone involved in motorised blind projects and garden.